Very happy to share with you one of my favorite designers from NYFW! 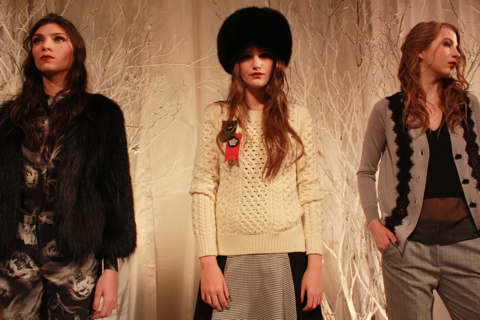 Designer Misha Nonoo presented a simply gorgeous Fall 2013 collection that artfully joined her own British heritage with touches of Imperial Russia, that urgently needs to get in my closet. 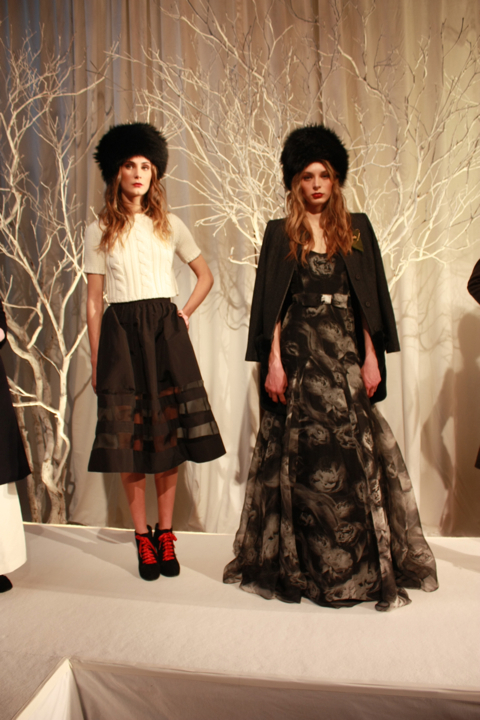 With luxurious textures, military detailing and some very gorgeous fur hats by the designer herself, Nonoo spins a genteel, sporting dream for Fall in somber shades of navy, grey, and black, punctuated by a rich, regal crimson. 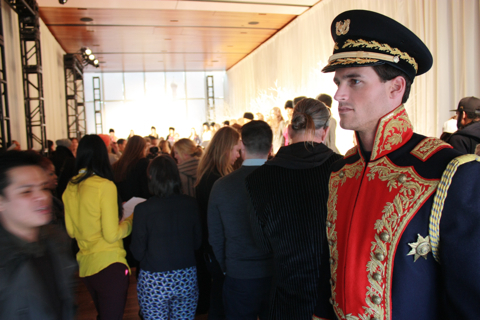 The show, a wintry, Anna Karenina-flavored affair was complete with uniformed guard and a massive backdrop that brought the onion domes of Moscow all the way to The Standard Hotel. As with previous Nonoo collections, the designer’s knack for tailoring was the defining element. Her amazing riding jackets and greatcoats, layered over everything from ballgowns to trousers, demonstrated a keen ability to refine classic shapes with modern elements — a slash here, an exposed zipper there — with great success. Also notable was the appearance of knitwear, in the form of deliciously chunky cable knit cardigans and pullovers. As someone who frequently joins elements of the masculine and feminine in my own wardrobe, what I like about Nonoo is her ability to take traditional menswear fabrics or shapes and infuse them with a femininity that is elegant and whimsical, but never gimmicky. Herringbone and Prince of Wales seamlessly join lace and silk, smoking slippers are paired with a ballgown — the best of both worlds, really. For more information, please visit Nonoo. 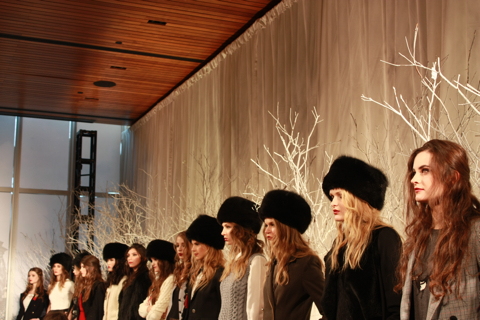 To view the complete Fall 2013 lookbook, head here. You can shop Nonoo direct, or at Berdorf Goodman and Shopbop. That amazing Spring 2013 collection is available now! 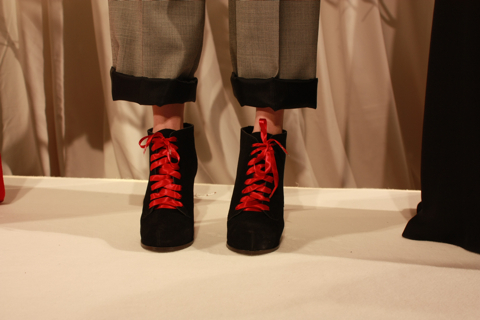 You are currently reading NYFW Recap: Nonoo Fall 2013 at Quite Continental.